Parents know time flies. It’s hard to miss when your baby is growing up right before your eyes. I remember a freezing February Thursday eight years ago, when my husband and I brought our firstborn home from the hospital. We had no clue what we were doing. Brand-new parents with about zero experience with babies, we had just strapped our son into his infant carrier for the first time. Then we quickly unstrapped him, as the fleece going-home outfit I thought would be so perfect was overheating our tiny boy. He wailed and we struggled to maneuver his 6-pound body into a carrier that seemed so huge. Why is my baby screaming so loudly? And when is he going to stop? He stopped crying once we got out into the frigid February air. And he settled down on the car ride home as my husband drove extra carefully and I sat in the backseat next to our precious cargo. We got home and I had absolutely no idea what to do. When you have your firstborn and you don’t have anyone else to look after, it’s a strange adjustment. 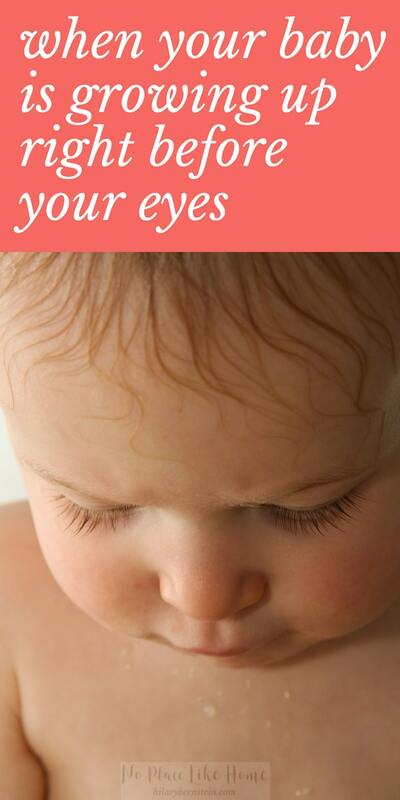 Babies fuss and babies sleep … but what do you do? So I sat on the couch with him and held him close, wondering what the next step was. Within a couple minutes, a school bus dropped off neighborhood kids after their day of school. I saw that big yellow bus outside our window and I sobbed and sobbed and sobbed, knowing that before I would know it, this sweet baby of mine would be old enough to climb the steps and be off to his first day of school. I don’t remember much else of that first day home as a new parent. 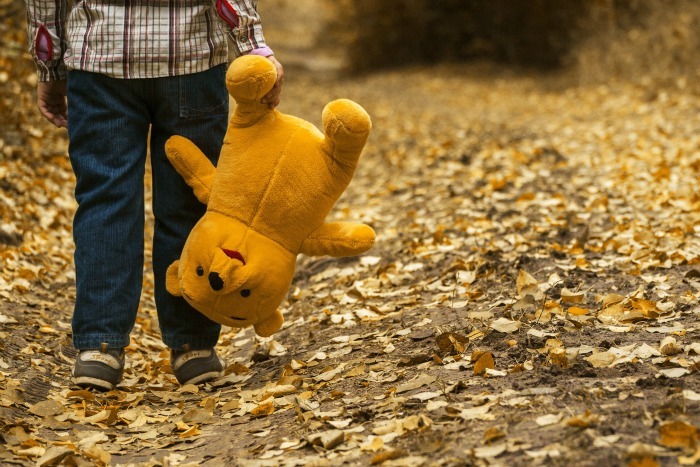 I walked the hallway, trying to settle him down at some point, and I think I e-mailed the news of his birth to our family and friends, but past that it’s a blur. I don’t know how he slept. I don’t know how many times I fed him. I don’t remember a thing. I do have vivid memories of the couple days and weeks after we brought him home, but absolutely nothing of the first night home. Somehow, eight years have happened since that first trip home. I’ve watched that teensy tiny boy – the one we swaddled and had to stick under a bili-light for jaundice – turn into a real boy. Somehow, those late afternoons that seemed neverending – when I would just wait for my husband to come home so I didn’t have to be alone comforting a screaming baby – did end. I changed his last diaper. He took his last afternoon nap. He had his first taste of real food and then learned how to feed himself. He stopped drinking out of sippy cups. He learned how to read and brush his own teeth and pick up his toys and ride his bike and play baseball. He is losing his baby teeth (all those that came in so painfully) and growing leg hair. He transitioned from his infant carrier into a car seat into a booster seat and now … just a seat belt. That baby has grown and grown and grown into the wonderful second grader that he is. No more asking for the same nursery rhymes to be read over and over again. Just like the boy and his mom in the book Love You Forever, we’re both getting older. He has grown and changed and I’m pretty sure the next time I blink my eyes we’ll be dropping him off at college. I know it will happen that fast. I know it, because the past eight years have happened so fast. The one huge thing I’ve learned over the past eight years is that every stage of a child’s life is filled with its own unique joys and challenges. While I loved cuddling my newborn and would give anything to go back in time to those moments, I’m pretty sure I was close to losing my mind in the screamy middle of the night. While I loved introducing my toddler to everything – and watching his wonder and excitement – I don’t miss his tantrums at.all. While I love spending time with my school-aged son and talking and learning with him, I won’t miss the snippy 7-year-old attitudes. I wish I could bottle up every bit of joy that I’ve experienced and keep it, but I know I can’t. Like the rest of life, I’ll keep trying to treasure my blessings and know that time is fleeting. People and places and things pass by oh so quickly. 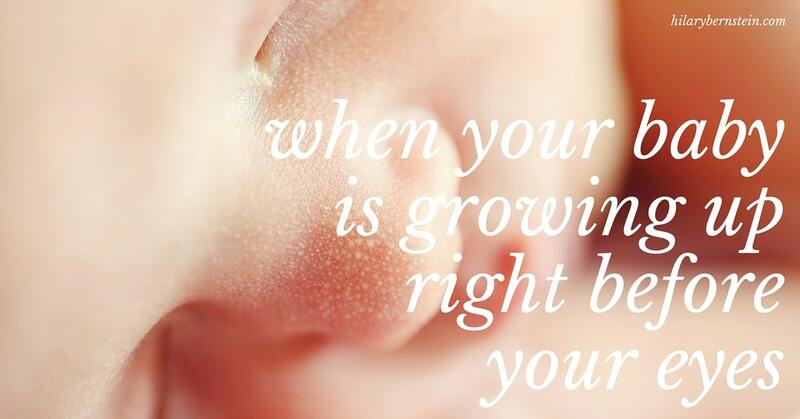 Because of the speed of life, perhaps there’s never been such an important time to treasure your blessings as when your baby is growing up right before your eyes. If your baby is growing up right before your eyes, what do you do to treasure the blessings? I’m crying Hilary! I feel the same way! I can’t believe how fast they grow, but I LOVE watching them learn and explore their surroundings! I LOVE to watch their imagination with their Legos and stuffed animals! I remember when my newborn screamed non stop, I remember telling myself one day he will be 5 and it will be over. Then it seemed forever away, now that was 3 years ago! We are truly blessed!